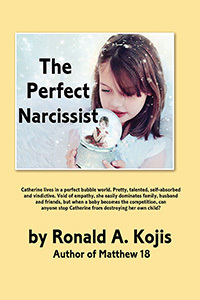 Ronald A. Kojis’s “The Perfect Narcissist.” Can a narcissist actually love someone? Is it possible to escape the abuse? Bunky thinks that Catherine loves him but isn’t she really in love with herself? What she feels for Bunky isn’t love in the normal sense. Find out what happens when Bunky tries to back out of a marriage with a narcissist. Previous Previous post: Indie Author Day Coming Soon! Next Next post: Get spooky! Or rather, get spooky books!